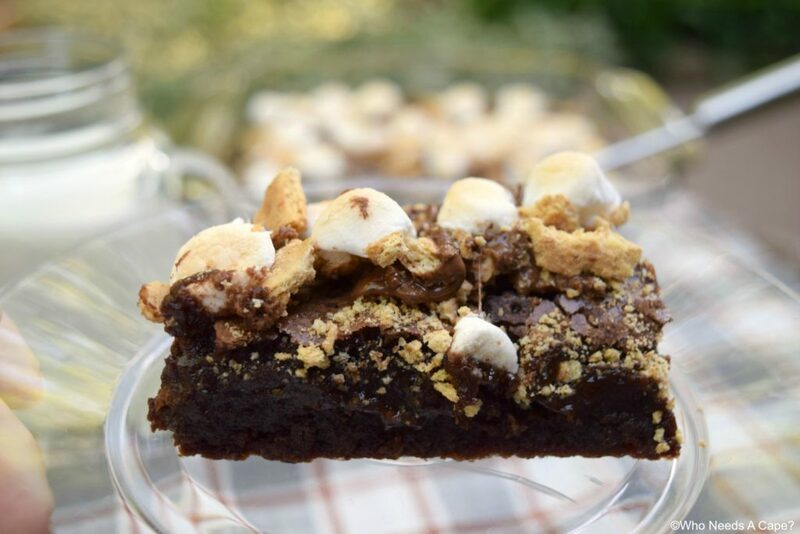 Peanut Butter Cup Brownie S'mores - Who Needs A Cape? 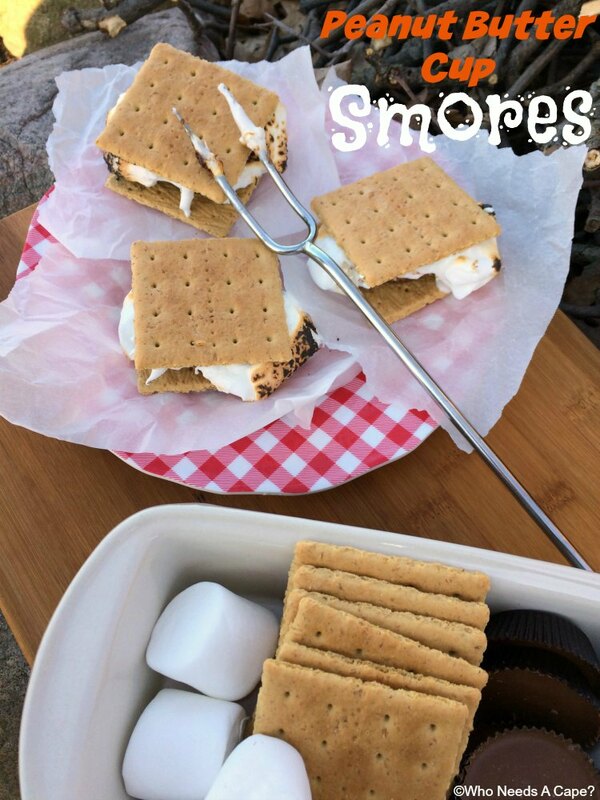 Take your summer s’mores to the next level! 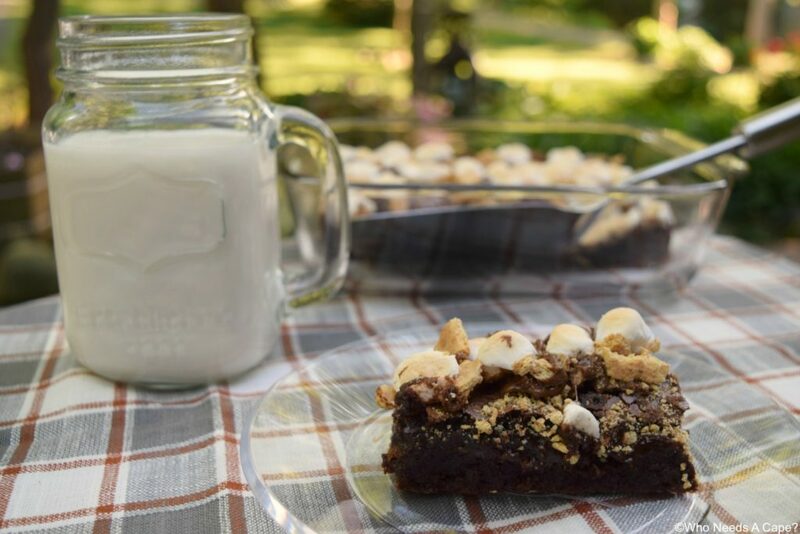 Make Peanut Butter Cup Brownie S’mores and enjoy this great family favorite campfire dessert. 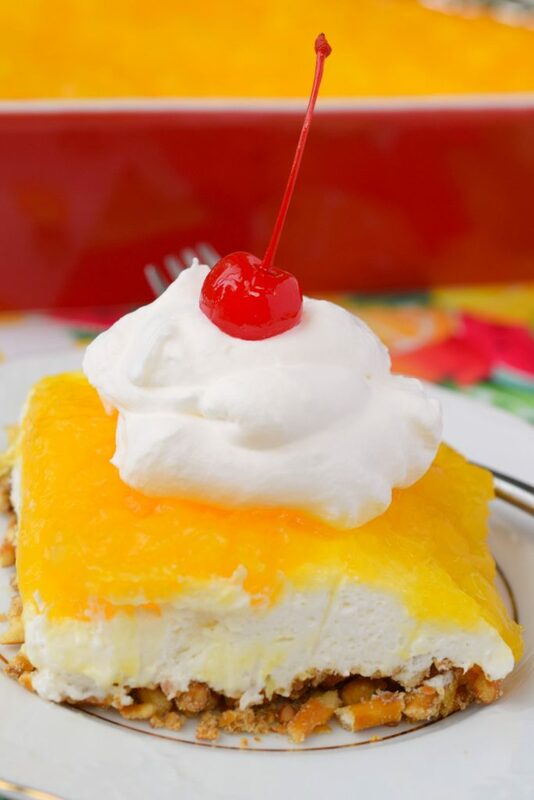 Some of the very best summertime memories kids have are carefree summer nights, filled with summertime delights. Wouldn’t you agree? 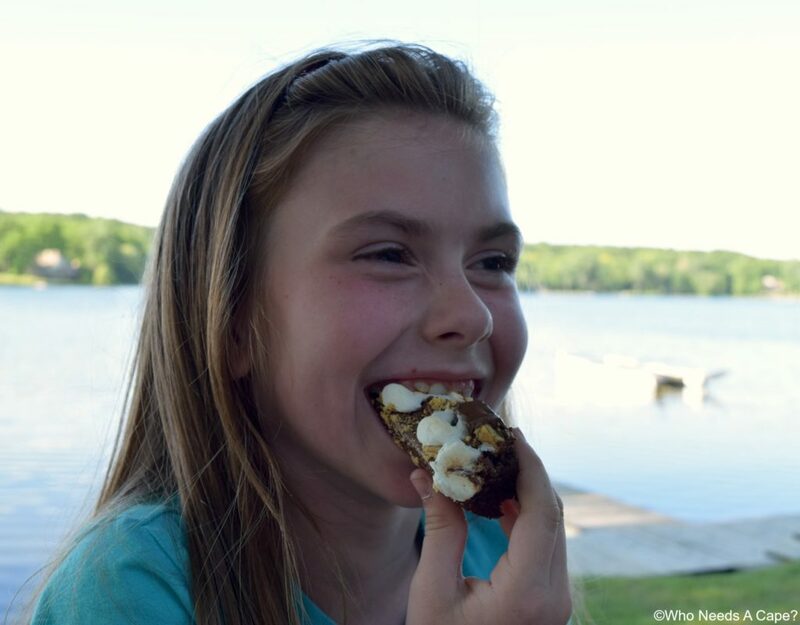 Chasing fireflies, playing in the moonlight, enjoying campfires and of course s’mores! 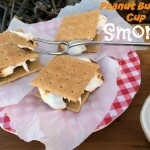 We had a wonderful weekend recently filled with warm temps and I was envisioning a campfire with all the s’mores fixin’s. Well, the temps may have been ideal but the wind most certainly was not. My kids were bummed out when we told them it was much too windy for a campfire, we had some serious sad faces. Mom couldn’t let them be disappointed though, I just couldn’t. I told them we’d still enjoy s’mores outdoors, just a different version. 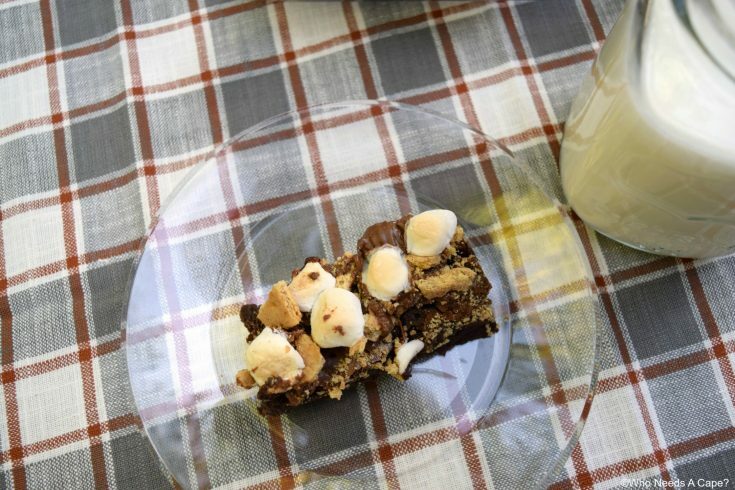 Peanut Butter Cup Brownie S’mores have all the fantastic components of s’mores with the incredible addition of a brownie layer AND, wait for it…peanut butter cups! 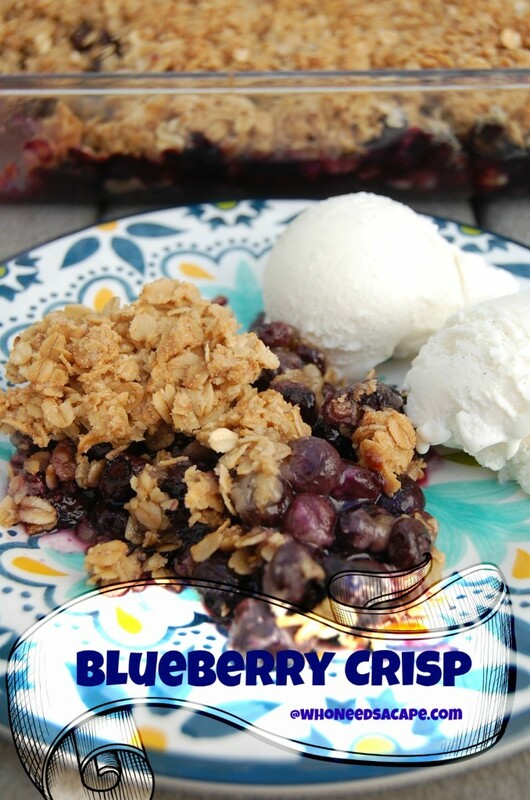 All my personal favorites in one amazing, although very sticky dessert! 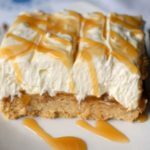 My kids devoured these and had the sticky fingers to prove it. I didn’t care though, because luckily I had brought out the handy-dandy Wet Ones® Hand Wipes. 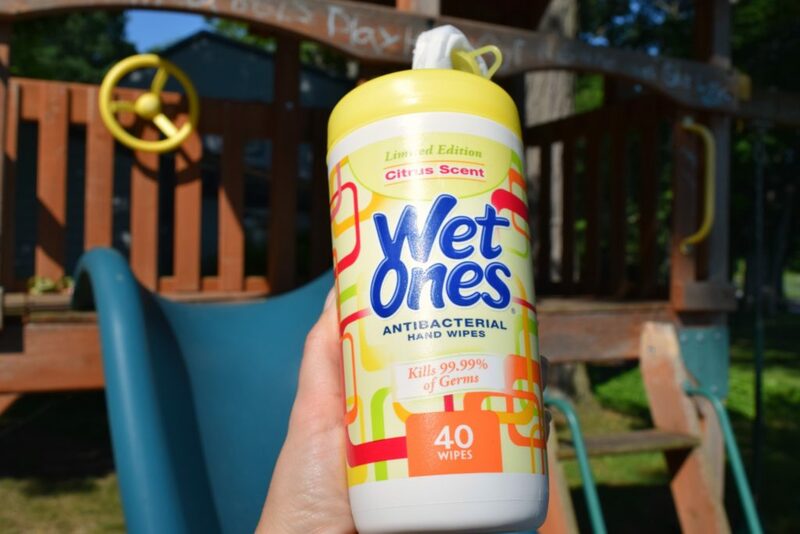 Wet Ones® Hand Wipes make the perfect addition to summer fun, no more worrying about sticky icky fingers! 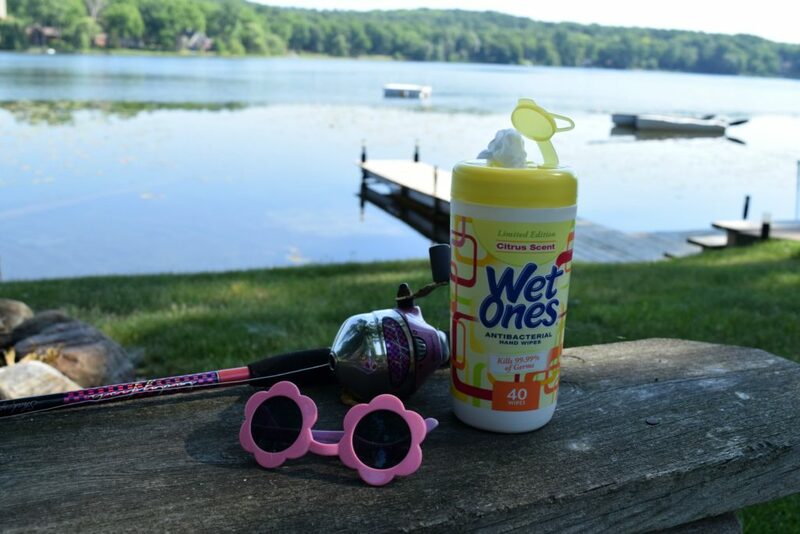 Grab the Wet Ones® Hand Wipes for every summer occasion you can think of, there are at least 99 Reasons Why It’s Always The Season For Wet Ones® Hand Wipes. I love the convenience of having them available for trips to the ice cream shop, chalk drawing at the park, stopping at restrooms while we’re out and oh so many other reasons especially during the summer season. Having them available in the car too, messy hands happen in there all the time. 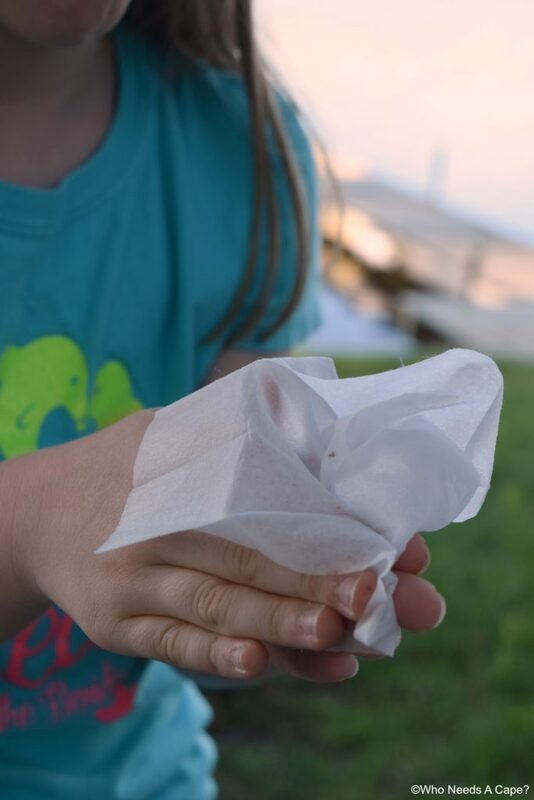 Just today my daughter ate a granola bar while we were picking up her sister from school and her hands were a mess, so out came the Wet Ones® Hand Wipes and we were good to go! 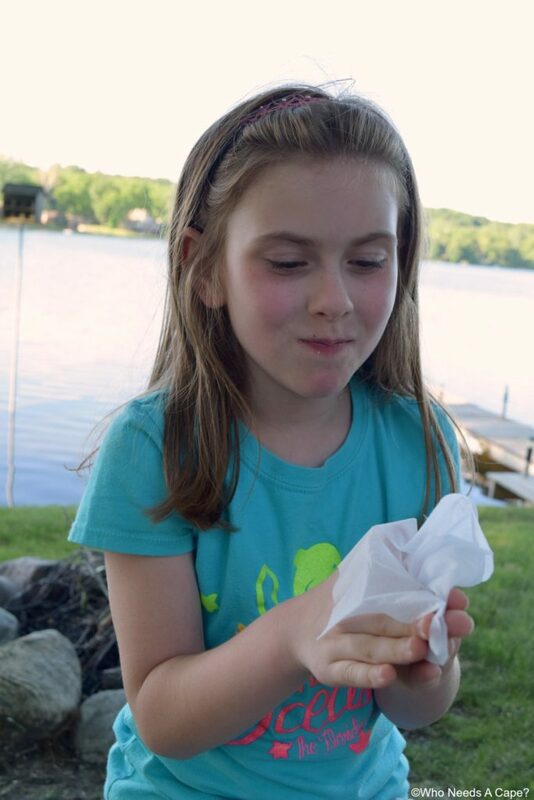 That breezy night didn’t slow down our summertime enjoyment, we enjoyed our version of s’mores outside and kept the Wet Ones® Hand Wipes nearby! Preheat oven according to package directions and size pan you are using. 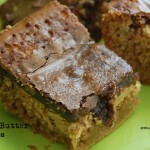 I used a 9x9 glass pan. Prepare brownie mix according to package directions, pour into pan. Bake according to package directions, but take out from the oven 5 minutes less than time noted. 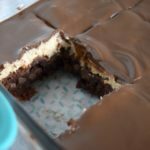 On top of brownie layer lay broken chocolate bar pieces, they do not have to cover entire area. Next sprinkle on crushed graham crackers. 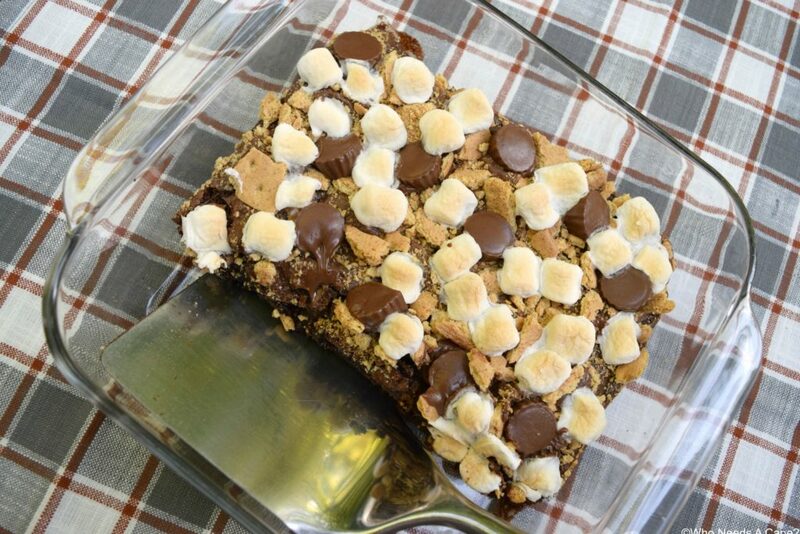 Spread over the graham crackers both the miniature marshmallows and mini peanut butter cups. Place pan back into oven for 5 minutes. 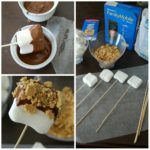 The top of the marshmallows will become slightly browned. 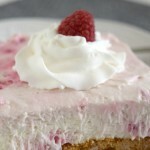 Remove from oven and allow to completely cool prior to cutting. These are best served the same day, the marshmallow will harden slightly.